This hybrid heat pump, from the Hoover Dynamic Next product range, has a large 10kg capacity. It has a A+ energy rating, offering a cost saving. The machine is fitted with Aquavision, which will take the water extract from the load and collect it in the door, allowing you easy access to empty the water when it is full. 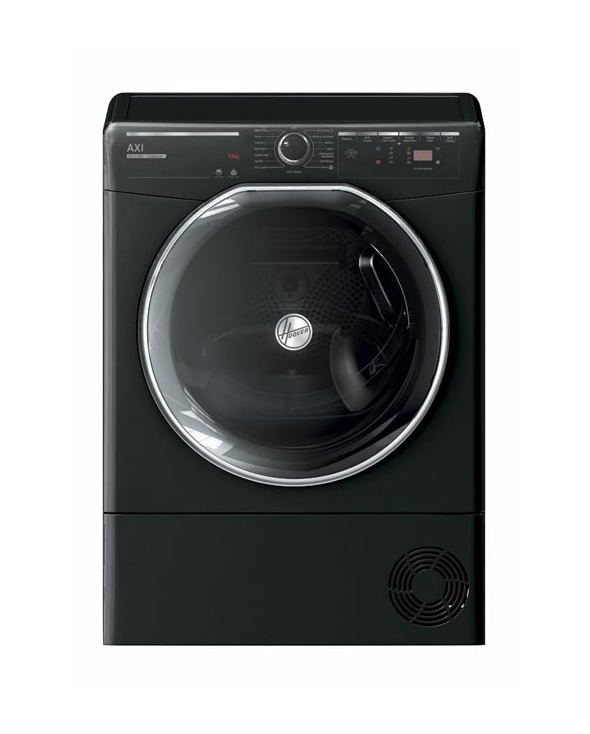 Sensor Dry, which will stop the cycle when it detects that the load is dry, saving you time and money. You can choose from four drying levels (Ready to Iron, Dry Hanger, Dry Wardrobe and Extra Dry) giving you flexibility on how to dry your loads. Featuring the new Total Care drying program, which will allow you to dry all fabrics and colours together, and will alert you when items have dried, allowing you to remove them. 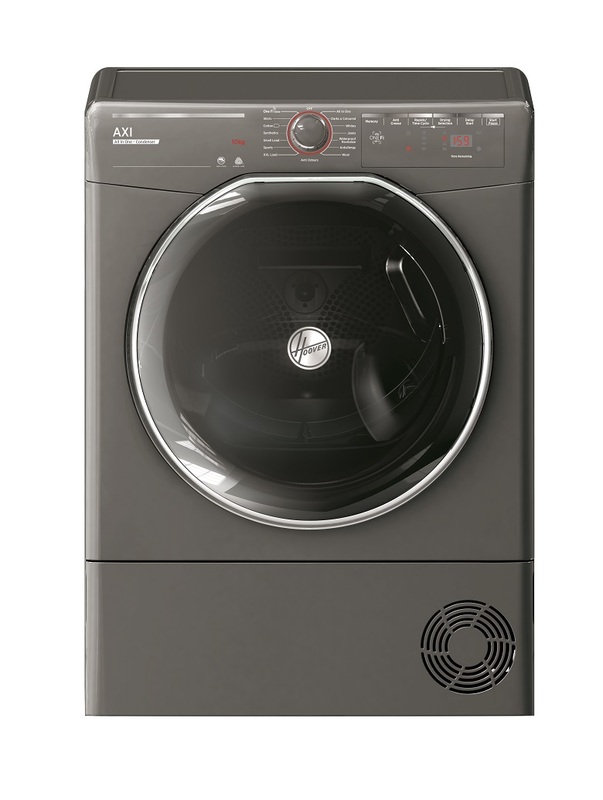 With 14 drying programs, including a Sports/Jeans/Eco/Rapids this machine covers all of your drying requirements. The Hybrid option (Eco-Speed) will improve the length of the drying cycle by up to 35%; saving you significant time, whilst also protecting your clothes by not exposing them to excessive heat. You can speed up the length of the cycle by up to 35% by using the Hybrid Eco option. A cycle design for items of clothing/bedding that are too bulky for standard loads. 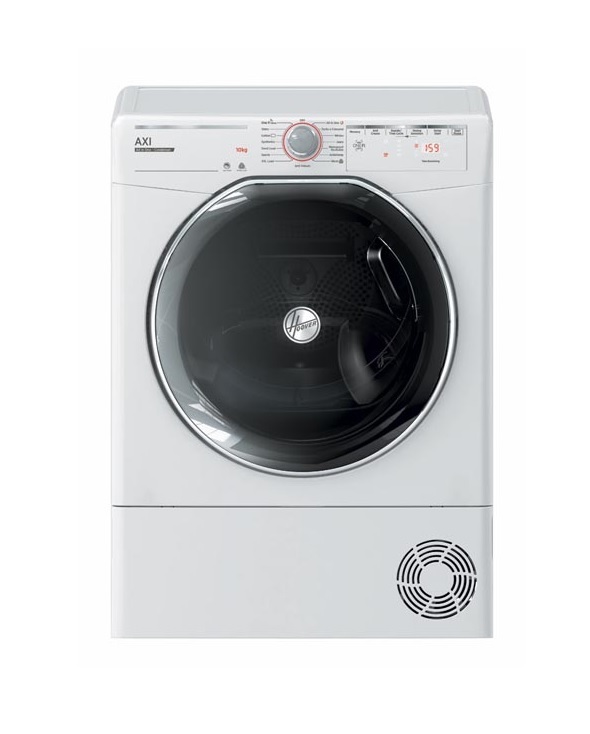 The machine is fitted with NFC technology, and you can connect your Android Smartphone to the machine.